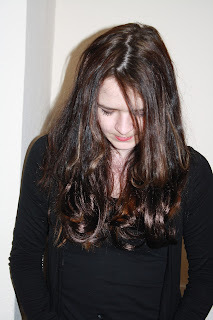 I went to a Very.co.uk Bloggers event a little while ago, and as well as being treated to an acoustic set by the lovely Diana Vickers, we were given the opportunity to try out some clip in extensions by Salon Confidential. To be honest, I hadn't actually heard of this brand before the event but I'm so grateful I was introduced to it, because these extensions are phenomenal! The extensions hold their shape, even after shampooing (or if you get rained on), so the styling is already done for you, which is a good thing because heat styling will only melt these babies! I was matched to a set of Volume Wave extensions in Dark Brown, despite my dip dye, and they blended with my real hair exceptionally well. Because my hair is quite long anyway, the extensions don't add a lot of length, but they do give me a lot of volume, shine and a lovely shape. Every box of Salon Confidential extensions contains 12 individual 18 inch extensions, which clip in to the hair easily (tease your hair a little first for extra grip) and feel about as heavy as a set of professionally applied extensions. The wefts lay flat against your head, so there are no tell tale lumps to contend with, and the kit comes with a little booklet to tell you which extension goes where. 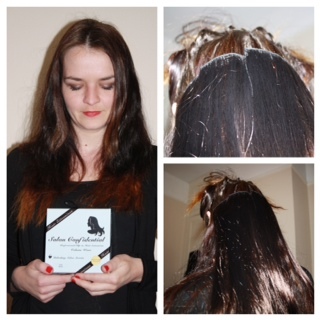 All in all, these extensions are a great, inexpensive alternative to professional extensions. These look great on you! I have some clip in extensions and I don't like them because they feel so heavy. I can't wear them for more than 15 minutes.